While Pullip is my one true doll love, I am revoltingly unfaithful to her and have a host of other dolly paramours as well. Dollfie Dreams– Dolls based off of my favorite anime characters that are also customizable? Yes, please! I own dozens of my favorite anime characters as dolls now, my favorites of course are the more petite members of my crew the MDDs and DDSs. 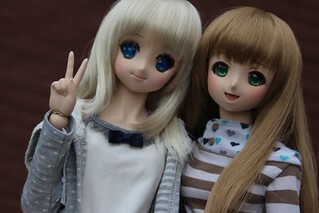 I started collecting DD in early 2009, Kanu and Ryomou were my first two girls and they arrived together on the same day. BJDs (Ball Jointed Dolls)– I mostly collect tiny bjds and I almost exclusively collect girls. 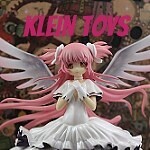 My favorite companies are Lati Doll, Fairyland and Volks. 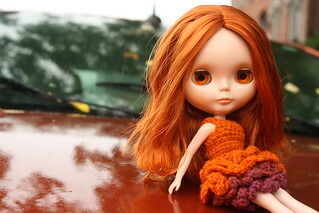 I started collecting bjds in 2009, Littlefee Ante (pictured above) was my first bjd. Blythe I received one of Gina Garin’s books as a gift as I was interested in doll photography then I happened to spot an ADG at a local store so I decided to give Blythe a try. I’ve had many Blythes over the years but prefer to keep a small but well loved Blythe crew. 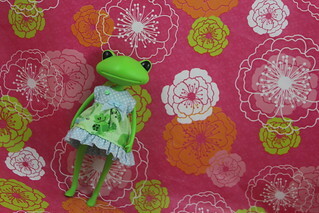 Oddities– Dolls that while I really don’t actively collect them caught my interest enough to buy one or two of and keep them includes Wonder Frog, Tangkou etc. PLEASE NOTE: Unless I specifically say otherwise none of my dolls are for sale. I am totally envious of your doll collection. My mum would kill me if I have that many dolls. I only have 6 dolls- and I’m to scared to show them to her…..